There are many ways to do satisfying work. 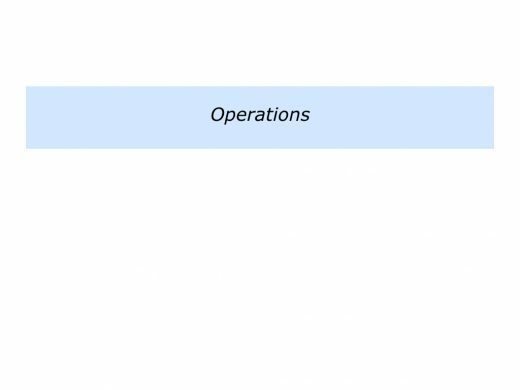 Some people enjoy origination, some enjoy orchestration and some enjoy doing operational work. Some people combine all three ways of working but then it can be important to get the right blend. Spending too much time on one area that isn’t satisfying can lead to difficulties. Let’s explore these ways of working. Some people enjoy doing work that mainly involves origination. They love to feel creative, find solutions or build prototypes. They like to design models, gardens, houses, services or products. They like to design things that are simple, satisfying and successful. Many people that I work with focus on origination. They do start-ups, create pioneering companies or build successful prototypes. They also enjoy finding solutions for customers and helping them to achieve success. Such people often need to get the right balance between innovation, implementation and impact. One person I worked with explained this in the following way. I am a prototype builder. During the past 10 years I have launched several successful pilots in on-line banking, customer service and travel. I love the innovation part and doing the early stage implementation. I also enjoy making things work and seeing that they have an impact. My style is then to hand over to other people who can scale the model, because I get bored with long-term maintenance. This means that I need to continually find new projects. My approach is to continually keep in touch with people in my network. I meet them with the idea of listening to their challenges and sharing knowledge they can use to achieve success. Frequently this leads to people asking me for further advice or, in some cases, asking me to lead a project. The approach seems to work. Different people like different ratios of innovation, implementation and impact in their work. Some people like equal ratios. Some like to mainly focus on innovation. 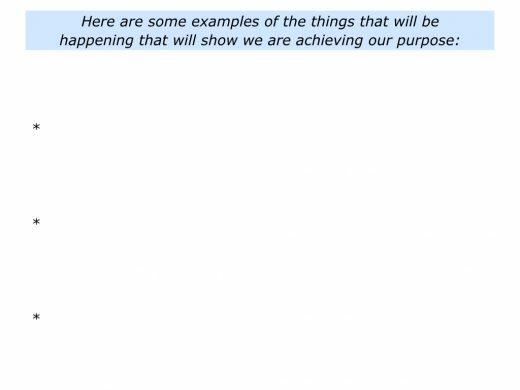 Some prefer to focus more on implementation and impact. Some employers make a mistake when hiring creative people. 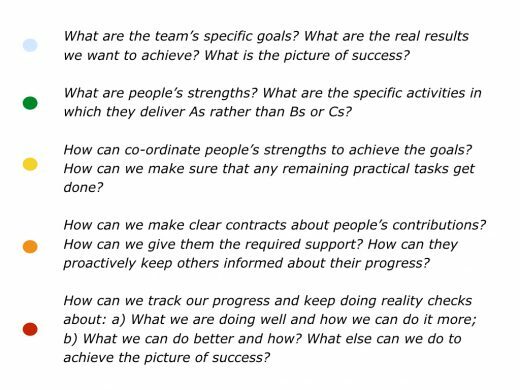 They invite them to take the organisation forward, but then tell them to just become implementers. This squeezes out people’s sense of innovation and impact. Looking at your own life, what are the specific kinds of work you enjoy that involve origination? Sometimes you may build on existing ideas, of course, but then also add some of your own when doing the work. You may enjoy taking these steps when caring for your garden, running a seminar or helping customers. You may do so when writing an article, playing music, leading a team or finding solutions to challenges. If you wish, try tackling the exercise on this theme. This invites you to describe the specific kinds of work you enjoy that involve some form of origination. Some people like to do work that involves orchestration. 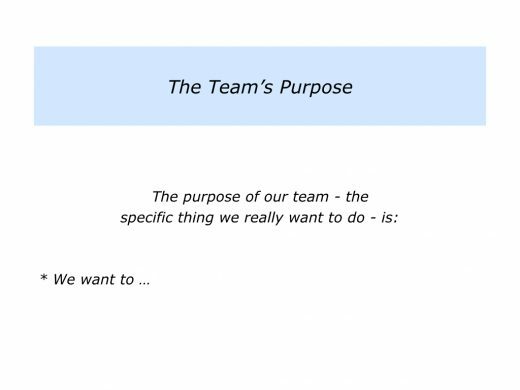 They may do this by leading teams, groups or organisations. 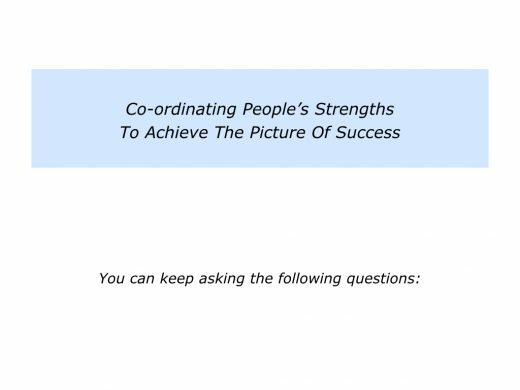 Whatever approach they take, this involves co-ordinating people’s strengths to achieve a specific goal. 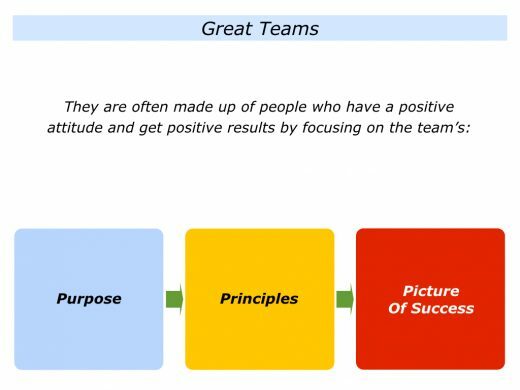 Great leaders, for example, often create a positive environment in which motivated people can achieve peak performance. 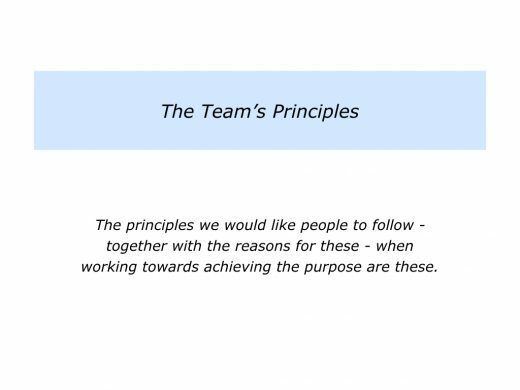 They start by communicating the team’s purpose, principles and picture of success. They then give people the chance to decide if they want to contribute towards achieving the goals. If so, they make clear contracts with people about how they can build on their strengths and make their best contributions. Different leaders communicate these themes in different ways. 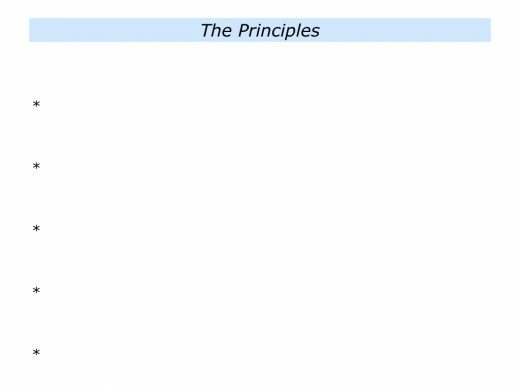 Here is one framework that some leaders use to give their people the big picture. People can then decide if they want to contribute towards achieving the picture of success. Some leaders are good at orchestrating people’s contributions towards achieving the goals. Some leaders, however, prefer to employ people who are good co-ordinators. They then give these people the support they need to deliver the goods. Imagine that you want to co-ordinate people’s strengths to achieve a team’s goal. How can you take this step? 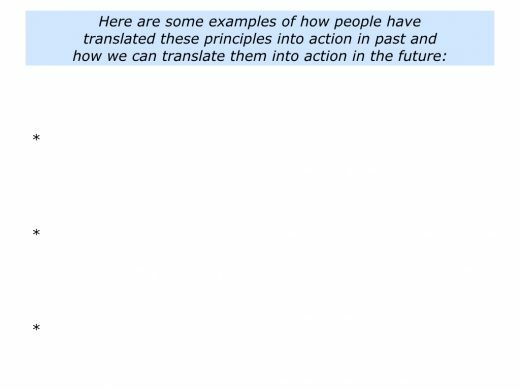 One approach is to use the framework described below. You can discover more about this approach via the following link. 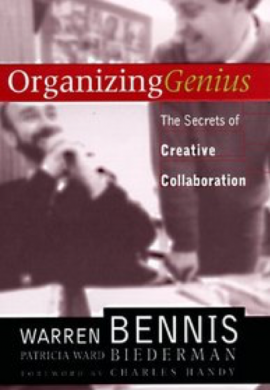 Warren Bennis and Patricia Bierderman touch on this approach in their book Organizing Genius: The secrets of creative collaboration. They found that great groups have certain characteristics. People believe they are on a compelling mission. They have a dream with a deadline. They have the right people in the right places with the right combination of skills. They then collaborate brilliantly to reach their goals. Warren and Patricia explain this in the following way. Every great group has a strong leader. This is one of the paradoxes of creative collaboration. Great groups are made up of people with rare gifts working together as equals. Yet in virtually every one there is one person who acts as maestro, organizing the genius of the others. He or she is a pragmatic dreamer, a person with an original but attainable vision. Ironically, the leader is able to realize his or her dream only if others are free to do exceptional work. Looking at your own life, what are the specific kinds of work you enjoy that involve orchestration? You may do this when leading a virtual team. coaching soccer players, leading a campaign, organising a conference, producing a play or doing another activity. If you wish, try tackling the exercise on this theme. This invites you to describe the specific kinds of work you enjoy that involve some form of orchestration. Some people like to lead, manage or do operational work. They like to set specific goals, make lists and cross-off the completed tasks. Such people can be invaluable in organisations. 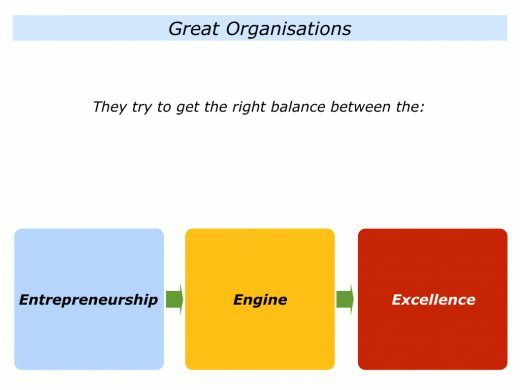 Great organisations aim to get the right balance between being entrepreneurial, running the engine and delivering excellence. They often start with an entrepreneurial idea. At some point, however, they may need to build an engine to deliver ongoing success. Engines can take different forms. Whatever form they take, however, it is important that people can rely on things working. This provides the platform for achieving ongoing success. When setting-up an engine, it is important to implement the right strategies with the right people in the right way. It is can be useful to focus on the following themes. 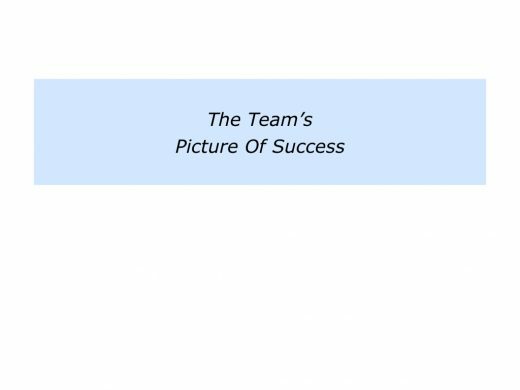 The specific results the organisation wants to achieve – the picture of success. 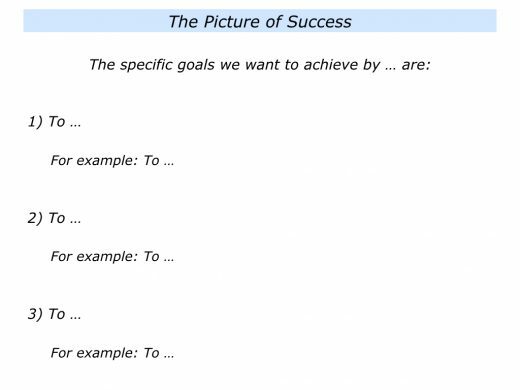 The specific strategies and systems required to achieve success. The specific staff who will run the engine and maintain the platform for achieving success. Good operators choose different ways to ensure that things work. 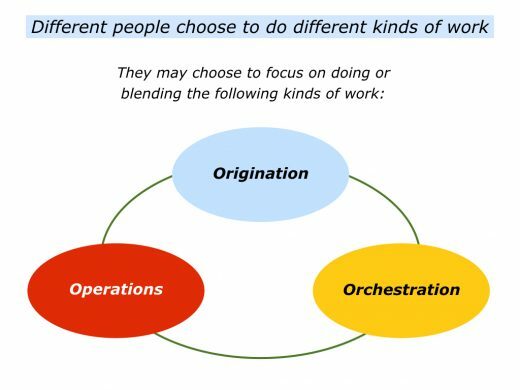 Some take the role of orchestrators and build a team of operators who they support. Some are more hands-on. They continue to make lists, cross off the completed items and make sure they are on top of the job. Operators are often duty driven and work relentlessly to deliver the goods. Sometimes this can be very satisfying, but there can also be a downside. They may always feel on duty and worry about things going wrong. Operators therefore need tremendous support to do their best work. Let’s return to your life and work. What are the specific kinds of operational work that you enjoy doing? You may do so when working on an individual project, running your own business or doing other hands-on work. If you wish, try tackling the final exercise on this theme. This invites you to describe the specific kinds of work you enjoy that involve some form of leading or doing operations. 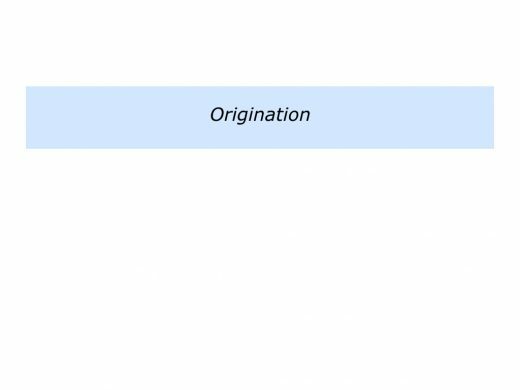 As mentioned earlier, however, it can be important to get the right blend between origination, orchestration and doing operations. You can then continue to do satisfying work.